Sophie Wilson broke her back after diving into a swimming pool in Thailand. 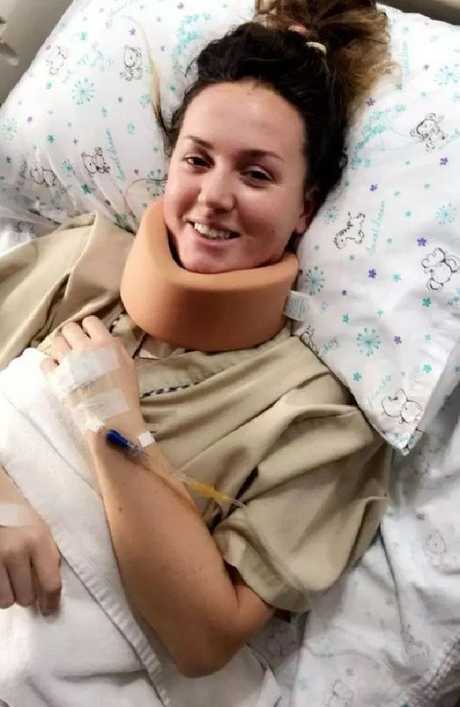 A BACKPACKER stranded in Thailand "may never walk again" after breaking her neck while diving into a pool. 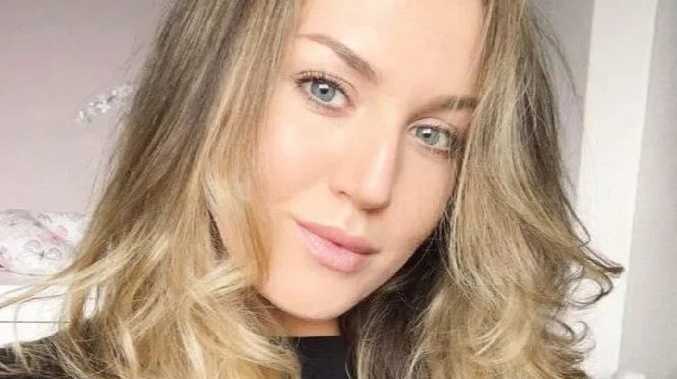 Family and friends of Sophie Wilson, 24, are desperately trying to raise £60,000 to pay for a specialist medical flight home to the UK after her insurer refused to cover costs, The Sun reported. 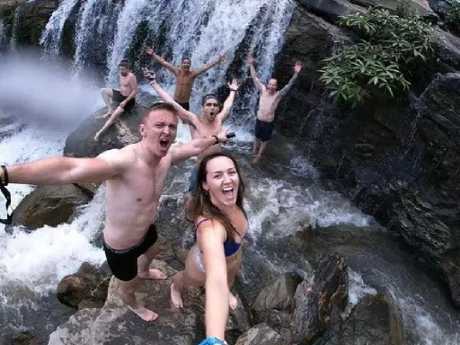 The backpacker, from Leicestershire, central England, was just one week into her dream six-month trip when she dived into a swimming pool in Pai, northern Thailand, but misjudged its depth, reports iNews. A fellow holiday-maker rescued the former coffee shop manager, pulling her out of the pool. "Initially I was in shock," Ms Wilson told iNews. "I never had any reason to believe the pool to have been so shallow as people were jumping and diving in before me." Although she didn't lose consciousness, she couldn't feel her body, "just excruciating pain in my neck", and had no feeling in her legs. After initially being transported to a local hospital because of her severe injury, Ms Wilson was sent on to Chiangmai Ram Hospital. But the private facility refused to operate on her until her family guaranteed to fund it. Ms Wilson said that her travel insurance company Insure and Go declined to cover her medical bills as the accident occurred as a result of "reckless behaviour". 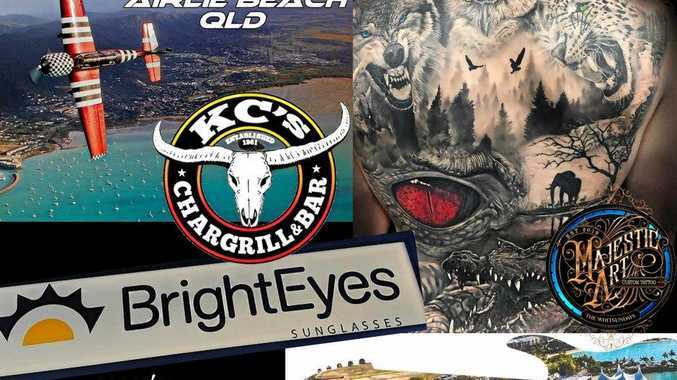 A GoFundMe fundraising page says on Saturday, December 1, her family "received devastating news that Ms Wilson had been involved in a terrible accident and was currently being rushed to hospital, with no feeling anywhere in her body. The British woman was on a dream holiday. "Sophie had been living a lifelong dream by travelling but had only been in Thailand for a week before we received this news." Her parents, John and Jane, flew immediately to her hospital bedside as she went into theatre for major surgery. Ms Wilson's spinal chord was compressed, after breaking her neck at C6 and C7, the spinal segment that helps provide the neck with structural support. The fundraising page adds: "This means that we are currently left in a situation where we are unsure at this stage as to whether Sophie will be able to walk again." Her mum and dad were told that she was "lucky to be alive as it was 'touch and go' at one stage as to whether she was going to live due to her blood pressure dropping to dangerously low levels. She has since become stranded in Thailand with mounting medical bills. "Sophie has since undergone 10 hours of surgery in Thailand, both of which were successful and have gone on to maximise her chances of recovery." The good news is Ms Wilson has made "progress, as she is now able to move one arm and the pain is slowly beginning to ease". However, the fundraising page said the cause "has not been supported by insurance companies". "They have informed us they will not be covering the costs of the operations, any care she needs from this point onwards, or most importantly to us, getting her home to the UK," the page reads. "Consequently, this has left our family faced with the prospect of paying for such fees." Hospital costs have already climbed to $63,000, but the bill will soar to more than $105,000 as Ms Wilson needs a specialist medical flight home. Ms Wilson’s family want her to get home as soon as possible. "This will involve the constant care and attention from a doctor and two nurses for the duration of the journey home from Thailand due to the severity of Sophie's injuries," the page continued. "Doctors in Thailand have stressed that this is the only method of travel they are comfortable supporting due to the delicate condition of Sophie and the need of intensive care for the duration of the flight. "Consequently this now means that the potential overall cost of all medical fees looks likely to rise well in excess of £60,000 ($105,000). "Our family's priority is to get Sophie on home soil, to continue her recovery, prevent medical costs rising further and get her back with all of her loved ones." The accident happened just one week into her six-month trip. A touching tribute on the GoFundMe page says: "Sophie is one of the bravest women you could ever wish to meet and she is our little miracle. "Our wish now is to get her home as soon as physically possible, so that she can begin her rehabilitation program to support the recovery process." The UK government says there are "excellent private hospitals in Thailand but they can be expensive. Many hospitals require guarantee of payment before they start treatment. "Make sure you have adequate travel health insurance and accessible funds to cover the cost of any medial treatment abroad and repatriation." The Sun Online has contacted Insure and Go for a comment.